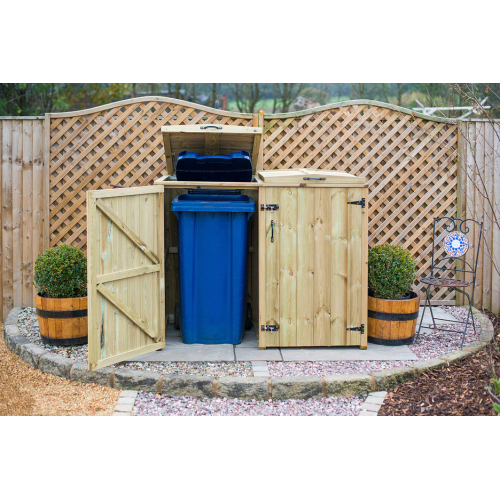 Hide your unsightly wheelie bins with this attractive timber wheelie bin store! 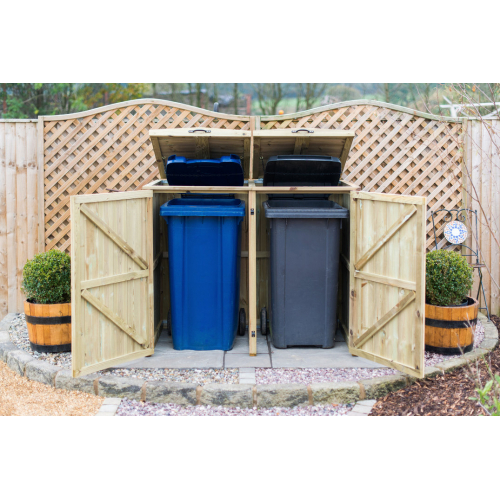 Our double chest wheelie bin store allows storage of two wheelie bins and is available in a range of sizes to fit 140, 180, 240 or 360 litre wheelie bins. 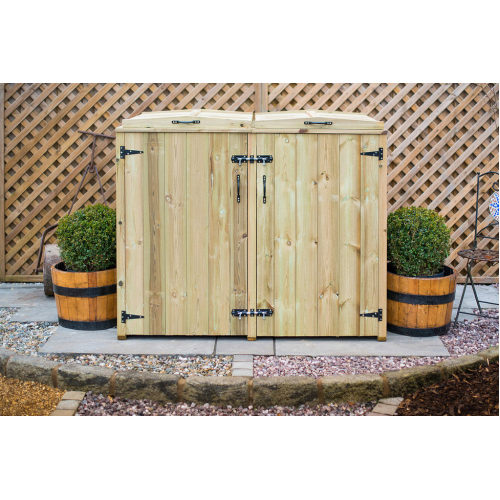 Each wheelie bin store is made using premium quality pressure tested redwood timber with high quality metal handles, hinges and a tower bolt to lock the bin securely away. 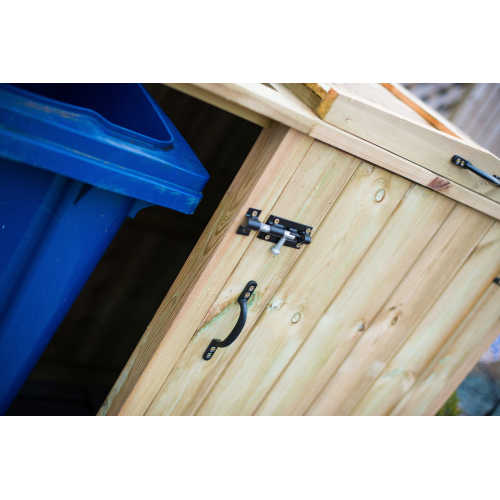 These bin stores are built to last, with FSC sourced tantalised redwood planed timber being used. 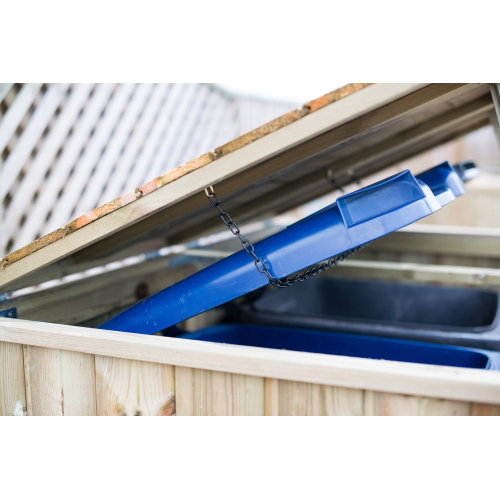 The lid of the bin store features a chain which hooks under the lid of the bin and this allows easy access to the wheelie bin as you lift the bin store lid. This is ideal for when you are lifting heavy bags of rubbish up and in to your wheelie bin. 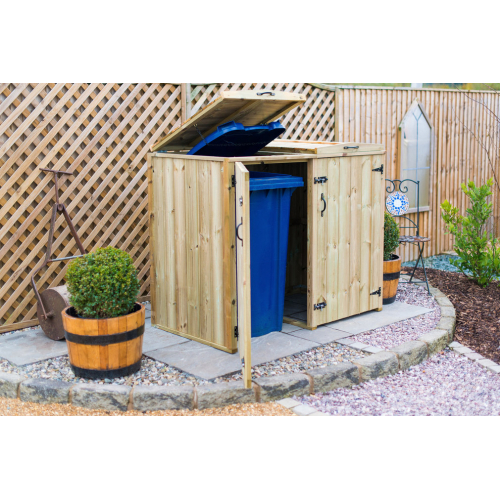 The store is free standing but can be bolted to the ground if required. 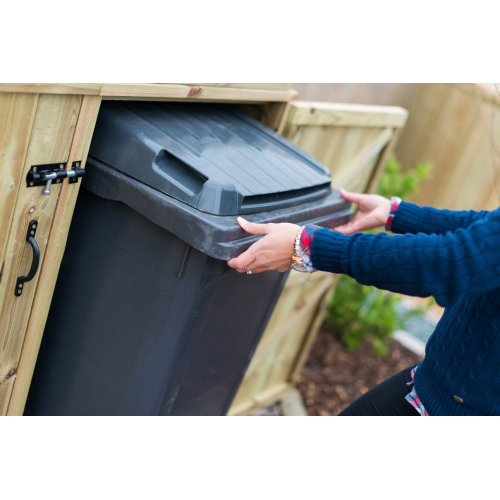 An optional hasp and staple can be added to your bin store to allow you to padlock your store. 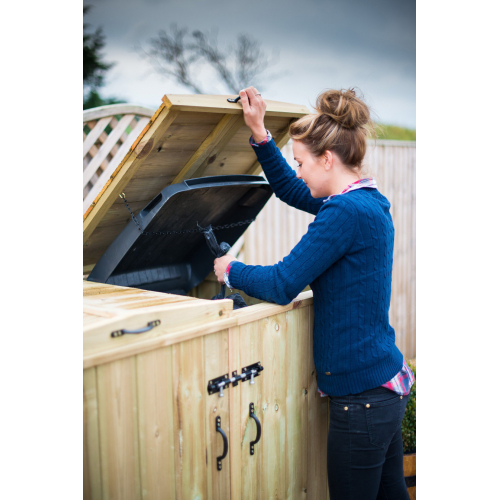 An optional double deck base is also available and this provides a stable and flat area for locating your wheelie bin store. 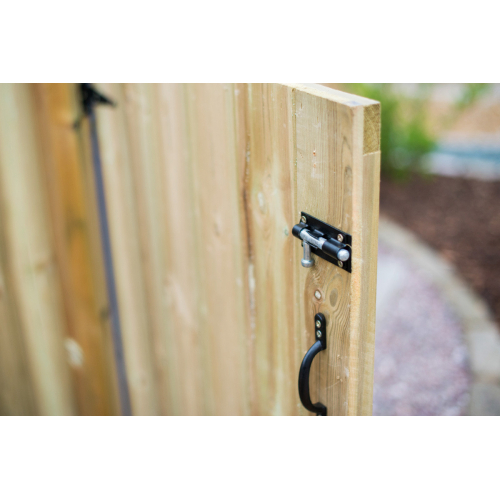 The bases are made to last, with FSC sourced tantalised redwood planed timber used. We advise that even though the store is pressure treated, it would be beneficial to apply stain based treatment every 1-2 years to extend the life span of the store. This product arrives flat packed with a full set of assembly instructions, fixtures and fittings. 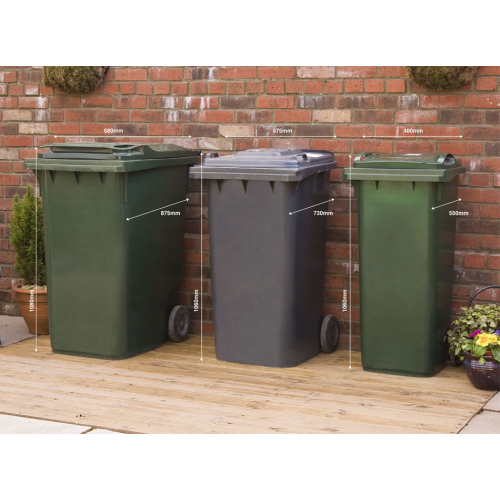 2x 140/180/240/360 Litre Wheelie Bin, or mixed sizes (view options for more information).